While our mission is to educate women on safe and accurate shooting, our organization is about so much more than shooting! It’s about empowerment, support, friendships, and fun! 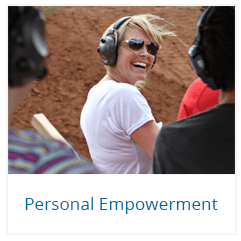 Everyday we witness the transformation of women who set out to learn how to shoot and in the process discover a confidence in themselves that improves all areas of their lives. 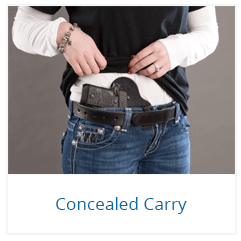 Whether you’re interested in competition, concealed carry, home defense, the safe storage of guns in the home, or you just want to get out of the house and try something new, A Girl & A Gun is a welcoming place for all women. TRAINING. 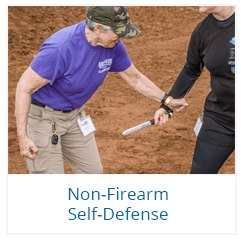 Whether you attend our National Conference, our Fall Festival, or a chapter event at one of our 150+ host ranges across the nation, you can rely on our caring and qualified instructors for live-fire training. 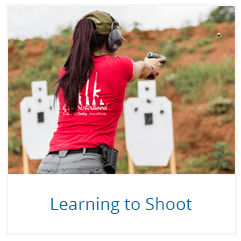 You can also use our Shooting Journal for self-paced drills, as well as our virtual training programs that bring the pros to you via interactive webinars. We also have the following training articles to help you learn more. There are many reasons why working with a Firearms Instructor in private training environment can be key to achieving your shooting goals. 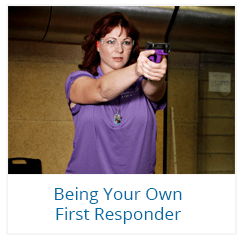 Whether they be self-defense based, competitive sports-driven or for just fun recreational time at the range, Here are six critical reasons why you should have a private session or two, or three, as well as the benefits that you are likely to achieve. A Girl & A Gun Women’s Shooting League (AG & AG) raised funds for childhood cancer by selling two t-shirt designs in 2019 that promoted awareness of the disease. The Unstoppable AF shirt and the Childhood Cancer Awareness shirt were sold through the AG & AG website. Five dollars from each shirt sale was earmarked for the Cooper Trooper Foundation. 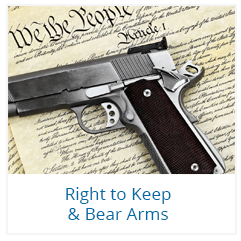 More than 20 members of an Orthodox Synagogue attended a Firearms Information Session on November 27, 2018, in Dallas, TX. A Girl & A Gun (AG & AG) Executive Director Robyn Sandoval and AG & AG Dallas Chapter Facilitator Dawn Rodriguez led the question-and-answer presentationthat addressed a variety of topics, including armed self-defense in a place of worship, with children, and in the home. Fall and winter welcome cold weather, holidays, parties, and guests! As you enter the holiday seasons, be mindful of safety for your family and friends. Here are several safety tips to help you develop your safety plan. Seconds before the IDPA match was about to go hot in surrounding bays, AG & AG Founder Julianna Crowder turned to see two little kids playing on the top of the long-range impact berm. Immediately, in a voice that she has never used in her life, she yelled, “GET OFF THE BERM, GET OFF THE BERM, GET OFF THE BERM!” The entire range came to a halt as people in every direction turned and looked at her, and in shock as they saw the kids slide down the dirt. 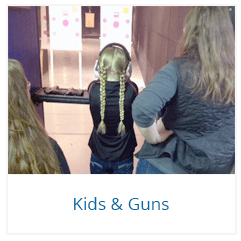 When the RSO approached the two dads, they apologized and said, “We just turned our back for a minute.” Somewhere in between the safety briefs that occur at the range, parents can create your own family safety briefing. AG & AG participated in the 11th Annual Honored American Veterans Afield (HAVA) National Family Day event held on October 20, 2018, at the at the San Antonio Police Academy in San Antonio, TX. AG & AG Executive Director Robyn Sandoval, along with members and facilitators of the AG & AG San Antonio chapters, hosted a bay dedicated to women attendees where they could shoot steel targets with a 9mm pistol and a .22 LR AR-15 style rifle. A Girl & A Gun Executive Director Robyn Sandoval is one of the gun rights advocates featured on this week’s TIME Magazine cover by the street artist JR. Sandoval is included with 244 other individuals that represent varied opinions and positions regarding firearms ownership and accessibility. Her interview took place during a five-month project by JR to document stories throughout the country. 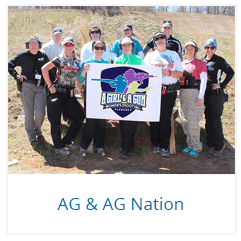 A Girl & A Gun Women’s Shooting League (AG & AG) proudly announces the winners of the 2018 3rd Quarter League Match. 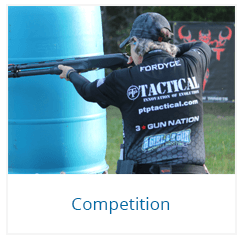 Two incredible competitors TIED for 1st place in the Adult Centerfire Irons division. Cheryl Fordyce (FL – Tallahassee) and Cynthia Blankenship (AZ – Prescott Valley) both had the same total time of 12.47 seconds with zero penalties. The tie breaker was determined by who was the winner of each individual string. Cheryl had the fastest time in two of the three strings and took the 1st Place win. Congratulations to both ladies for their outstanding performance!